While you can’t prevent disasters like water or fire damage, you can save time, money and frustration by calling an expert to evaluate the damage. Antiques can’t be replaced the way a new armchair can. That’s why we offer services including antique repairs and restoration. From an armchair that’s been in the family for years to armoires, a wood restoration professional from Furniture Medic of Greater Vancouver can help with a wide variety of antique repairs. More importantly, antique repairs can greatly reduce the time and money spent on replacing the entire piece – and our team specializes in bringing old or damaged furniture back to life. When it comes to antique repairs, our skilled professionals meticulously work to restore furniture, woodwork, clocks, mirror frames and upholstered pieces to their earlier condition – and often leave them looking better than new. This is especially important when it comes to family heirlooms or pieces that are part of larger sets. 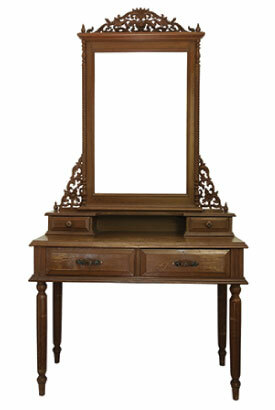 With so many ways to preserve antique furniture, contact us today at 604-576-6499 to keep your antiques in the family!